I was so excited when Vanessa of Crafty Gemini reached out to me to test her new FREE Westchester Dolman Top pattern. You all know that I love to sew dresses, but I’m always in need separates (because I’m so drawn to one pieces) and a comfy tee is staple I often lack. Vanessa included this turquoise brushstroke print double brushed poly for me to use and I love it. It is so soft and smooth and totally sold me on DBP. I can’t wait to order more! This tee is a quick and simple sew perfect for beginners or knit newbies. 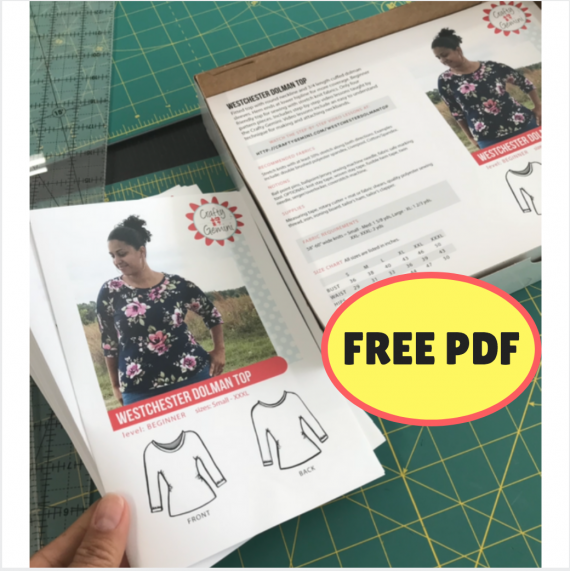 If you have any concerns you can follow along with Crafty Gemini via her sewalong videos where she walks you through everything from downloading a PDF pattern to choosing your size to sewing your Westchester Dolman. This tee is figure flattering featuring a slight flare at the waist and a dolman sleeve (so you don’t need to set or flat sew a sleeve). Which means there is just a front and back piece and bands for the neck and sleeve. You can punch it up with contrast bands, but as you can see I used the same fabric for all pieces. This shirt actually now belongs to my mother who is so in LOVE with the fabric and the top itself she has requested 6 more!!! She claims she needs one for every day of the week. 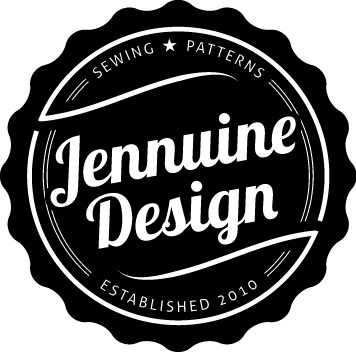 So I’ll be sending her on over to Crafty Gemini so she can download her very own pattern for FREE and sew along with Vanessa to make her very own tops. LOL! If you are looking to start sewing with knits or just need a good tee pattern, check out the Crafty Gemini Westchester Dolman Top! After all, it’s FREE! Pattern Description: Round neck tee with dolman sleeves and neck and arm bands. Would I sew it again? Yes, because my mother demands more.